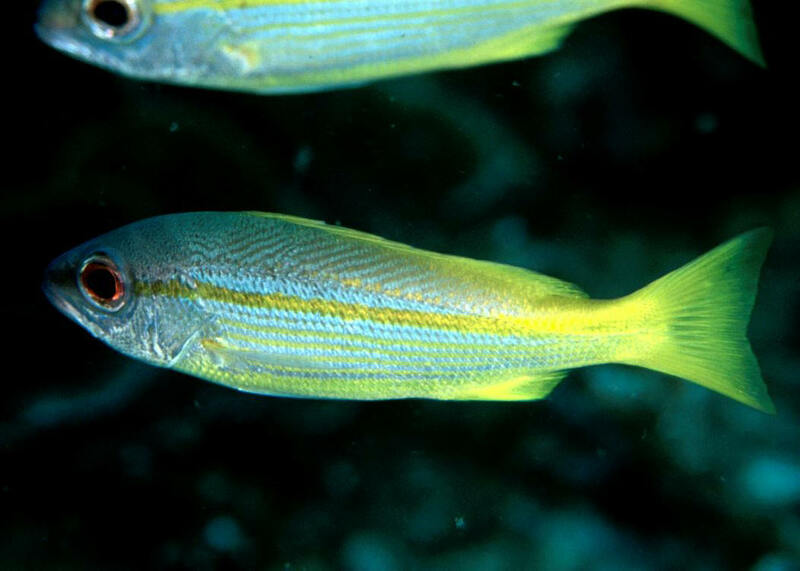 Lutjanus biguttatus (Valenciennes 1830), the Two-Spot Banded Snapper. Indo-Pacific; mainly Solomons to Australia to the Philippines, out to the Maldives. To eight inches total length. One in S. Sulawesi. Lutjanus bohar (Forsskal 1775), the Two-Spot Red Snapper. Indo-West Pacific; Eastern Africa to the Marquesas, south to Australia. To a maximum length of three feet. An adult off of Queensland, Australia. Lutjanus boutton (Lacepede 1802), the Moluccan Snapper. Western Pacific; Sumatra to Samoa. To a foot in length. Here in Pulau, Redang, Malaysia. 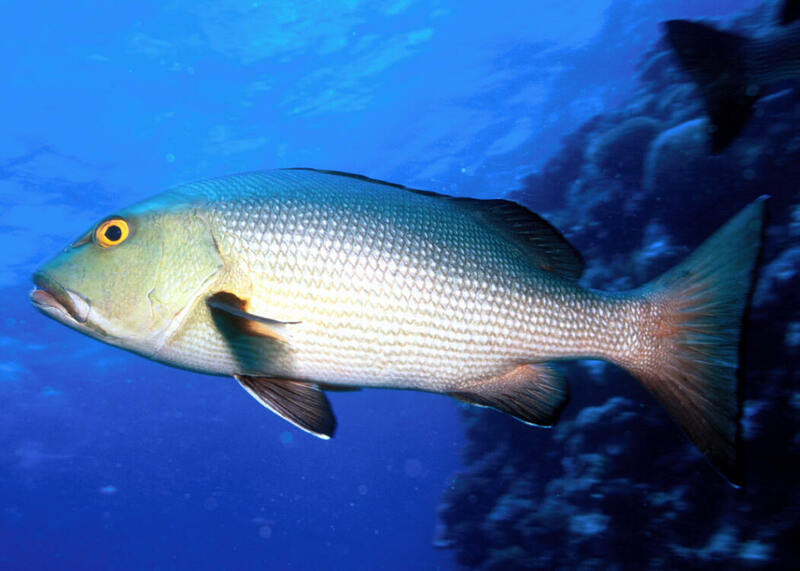 Lutjanus decussatus (Cuvier 1828), the Checkered Snapper. Western Pacific and Eastern Indian Ocean from New Guinea to Southern India. This one off of Sipadan, Saba, Malaysia. To one foot in length.